Three months ago my wife contracted lobar pneumonia – out of the blue. One minute she was completely fit and healthy and the next she was in hospital with ITU outreach buzzing around. It was all very, very frightening. She received brilliant, timely treatment – intravenous antibiotics within an hour of arrival in ED, compassionate and skilled care from excellent doctors and nurses – and was home in three days. She made a good recovery and there was no paperwork to do or bills to pay. The NHS did what it does best. It was no more or less than I would have expected. My wife and I were both immensely grateful. But this is not main the point of this story. Please read on. Last month we were due to go on holiday to the United States. It was just over four weeks after leaving hospital but her consultant had given her the all clear to travel. She was well. Just before we were due to depart I realised that our annual travel insurance policy was due for renewal while we were away. It would run out three days before we were due to return home. We had used the same company for 20 years without ever making a claim. I attempted to renew on line as usual but immediately hit the question about recent hospital admissions. It was not possible to do it on line – I would have to make a phone call. Then followed the most difficult and upsettinging series of telephone calls that I have had to make for a very long time. It was just two days before our date of departure and we found the company would not renew the travel policy because my wife was now considered a “high risk”. An early question when talking to alternative providers is “have you ever been turned down for travel insurance”? You have to answer honestly and no surprise, they would you prefer to take your business elsewhere. Eventually I went back to my original company and told them we would cancel the holiday and claim back the cost against our existing policy. Only then did they agree to cover us for the extra three days until the end of the holiday, but they still refused to renew our annual travel policy. Insurance companies are risk averse. They only like to insure people they consider to be low risk. They can pick and choose who they take on and you, the customer, have no comeback. Have you caught up with recent advances in genetic testing yet? It is brilliant. Automated gene walking machines can map your DNA and can tell you your future risk of all sorts of diseases in a matter of days. For £125 you can find out if you are susceptible to everything from cancer to dementia. A bit pricey I know but the technology is developing so fast that in a very few years’ time you will be able to get a comprehensive health risk assessment for a few pence and a bit of spit. Imagine what the health insurance companies will be able to do with this genetic information. They can tailor your insurance costs to the actual risk of you making a claim. Great news for those with healthy genes but a bit of a blow if there is rogue DNA in the family. And don’t think they will not do it. They are in business to make the money and they will use any means they can to maximise profits. We are all vulnerable to the health effects of the random throw of our own genetic dice. The new technology will turn genetic bad luck into a personal financial catastrophe. It will take very strong, new legislation to protect the public from exploitation – unless of course you live in the UK and have a National Health Service which is free at the point of need. The NHS pools our collective health risk and shares the burden equitably. The cost to individuals is determined by their ability to pay and not their susceptibility to disease. Without the NHS we will be looking forward to a future of increasing inequality of health care provision. Do not underestimate the importance of this effect. 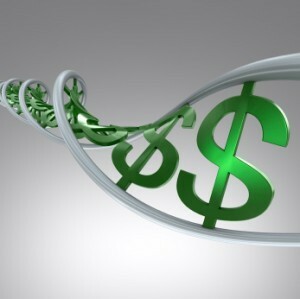 In future our world will be populated by individuals whose wealth as well as health will be determined by their genes. The new technology will create huge distress and social upheaval across the globe. We in the UK are very fortunate to have the best answer to this problem already in place. We must not squander our NHS just when it is likely to become more import than ever before. My first comment to this excellent article is that I found it difficult to read because the article itself was overwritten by the right hand information column. What we are suffering from in this country is that Neo-Liberal dogma is accepted as gospel, when it is fantasy economics, too many over the last forty years have been recruited to obfuscate and lie about the potential of the private sector and deliberately undermine our public services. The evidence is clearly here now, the private sector is destroying the world economy and everything that was good in this country, none of this happened by accident but has been creeping into the world economy for over forty years now. Culminating in the total corporate takeover with the introduction of TTIP. I have provided evidence to these SHA articles that show the NHS has always been the most efficient, most comprehensive, cheapest health system in the world, but there are still people in the SHA that promote the private sector as though the facts were to the contrary. There should be little doubt in learned circles that Margaret Thatcher’s 1982 Secret Cabinet the longer term options has been carried out to the letter over the last thirty years or so, the latest mutterings from the despicable Jeremy Hunt, where they are talking about the unaffordability of the NHS and the need to look at private insurance to provide funding in the future. All neatly falling in line with the avowed programme within Thatcher’s Cabinet Papers. First you starve the public service of money, then you bring in the private sector. Then you blame the victims that fall by the wayside because they can’t afford to pay exorbitant private bills. Just like they do in the USA where over 40% can’t access proper medical care. But then we are not going down the American line are we??????? Excellent article, I hope people take note.